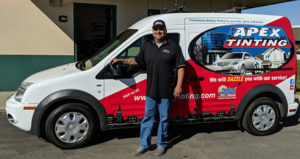 If you are looking for the best car window tinting service on the central coast, then we are glad to tell you that you have clicked on the right page. Thousands of customers have been satisfied with our exclusive services and have returned the favor by coming back to us in the future for their automobile issues. Window tinting, done the right way! Do you feel the heat of the outside sun even while sitting in your car? Then your car definitely needs a cool window tint. Tinting your car windows absorbs the heat from the sun and keeps the temperature inside your car cooler. Our tinting technicians will recognize the problem areas of your car windows immediately and give you a quote within minutes. Do you have a cracked windshield? All that you need to do is call Apex. Our technicians will analyze the extent of the damage done to your windshield and suggest the best possible repair solution. 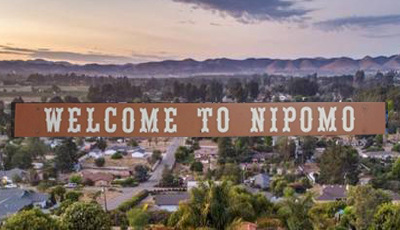 Car window fixes in Nipomo take as little as 15 minutes. Repairing a car windshield requires a great amount of experience and skill. Our technicians do such tasks on a daily basis and are well-versed with the latest technology that goes into windshield and window repair. We just need 15 minutes per chip while repairing a cracked windshield! Our on-site services coupled with affordable rates make us the pioneers of automobile window repair. We at Apex Auto Glass in Nipomo also give you a free windshield assessment on which you can make a decision. We do not push for a windshield replacement unless it is actually needed. We are here to save you money and ensure your safety. For us, business comes second to customer satisfaction. We are arguably the best windshield repair and replacement service in Nipomo 93444.